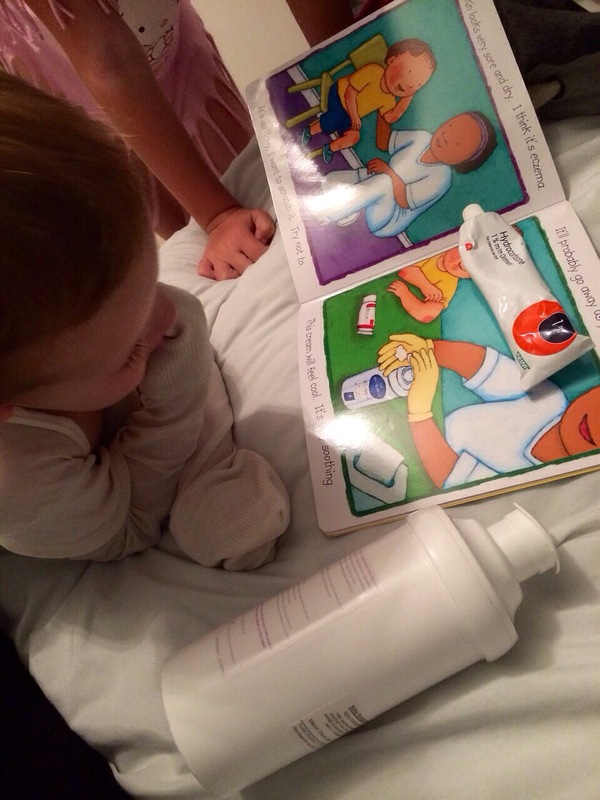 A dear friend asked me if I knew of any books that would help her 2 year old son understand his eczema and allergies, something to show him that he is not alone or ‘different’. He has severe allergies and as a family they are still learning what his triggers are and how best to deal with it all. It would really help him and his siblings if they could see him represented in books and understand that other children have the same problems. 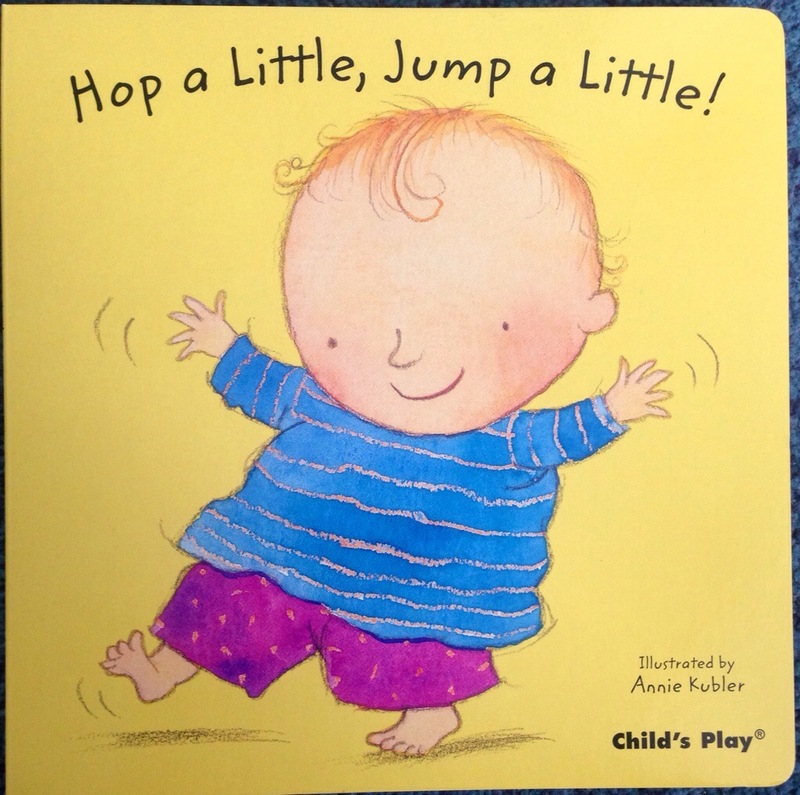 Hop a Little, Jump a Little by Child’s Play Books, illustrated by Annie Kubler. I love this for its casual inclusion. It isn’t ‘about’ allergies or eczema, or children that are ‘different’. It is about very young children being children. But the pictures have such diversity and allow children to see themselves in their books. Children with allergies/skin conditions/birthmarks will recognise themselves in the picture above. The illustration shows bandages peeping out beneath clothing and red patches on skin, but it’s subtle. 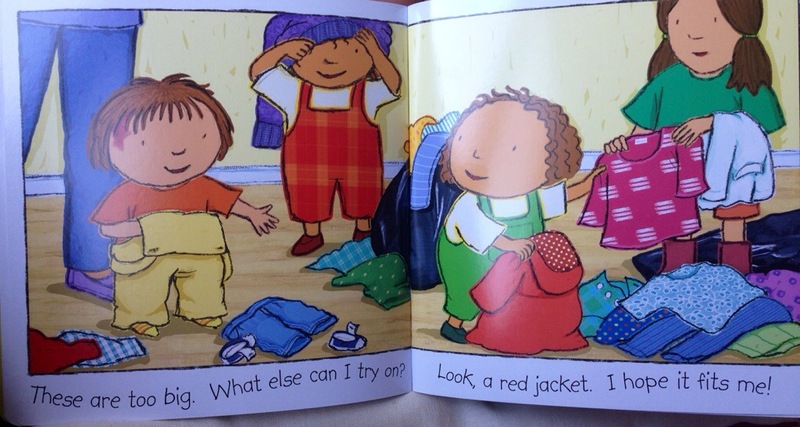 It allows children to recognise themselves in the illustration but it’s not what that child *is*. Brilliant! Recycling! 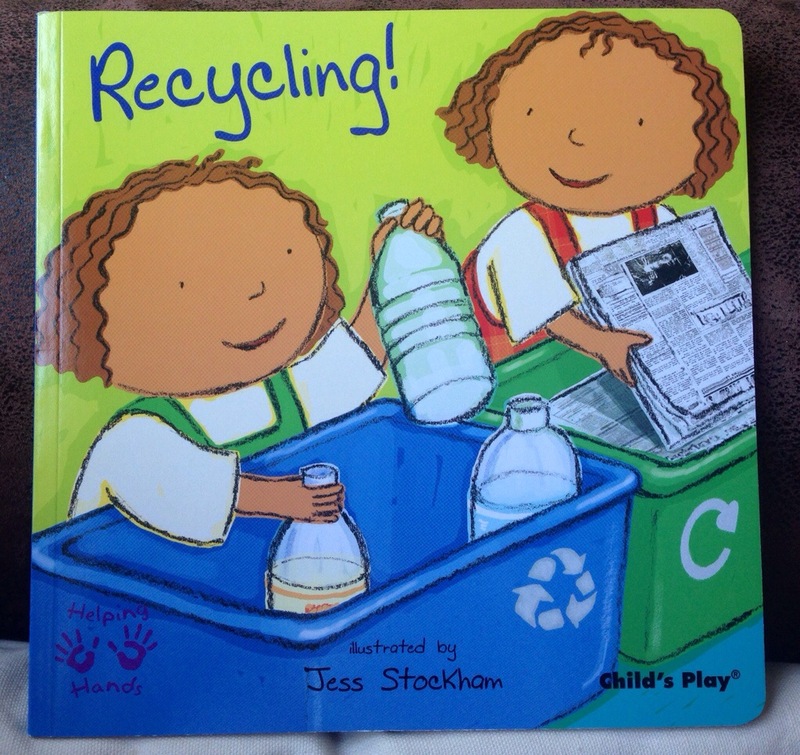 by Child’s Play, illustrated by Jess Stockham is part of the Helping Hands series. A brilliant series of inclusive books that blur the line between fiction and non fiction, the Helping Hands books use conversational text to explore tasks that children can help adults with as a natural extension of pretend play. They work beautifully as jumping boards for discussion and play and are perfectly pitched for inquisitive young children. Recycling! shows twins helping with lots of different recycling tasks. 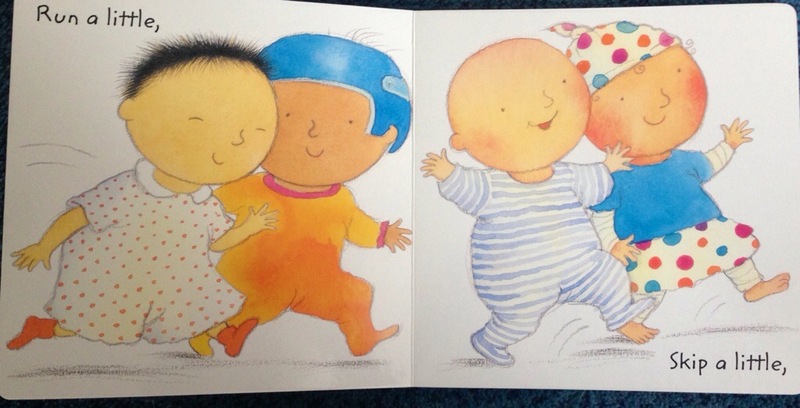 The illustrations of the children are wonderfully gender neutral, allowing children to place themselves in the story. For my friend’s son there is an illustration of a child with eczema or a birthmark. Doctor is another Child’s Play book illustrated by Jess Stockham. This one is from the First Time series of books which, like the Helping Hands series, uses conversational text to explore experiences children will come across for the first time. 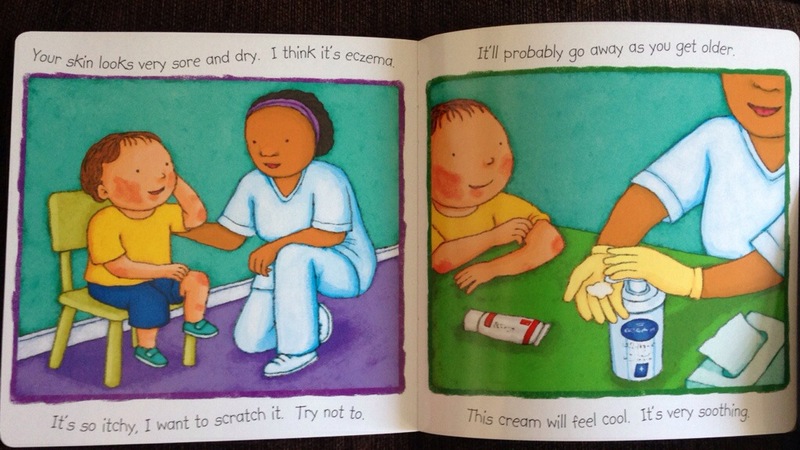 In Doctor there is a double page spread showing a child with eczema. Casual inclusion is so important for children – that moment of recognition when they see themselves in their book and feel that sense of inclusion and of being valued. But books that are more overt and ‘about’ an issue can be helpful too, and are often sought after by adults trying to help a child’s understanding of an issue they are dealing with. 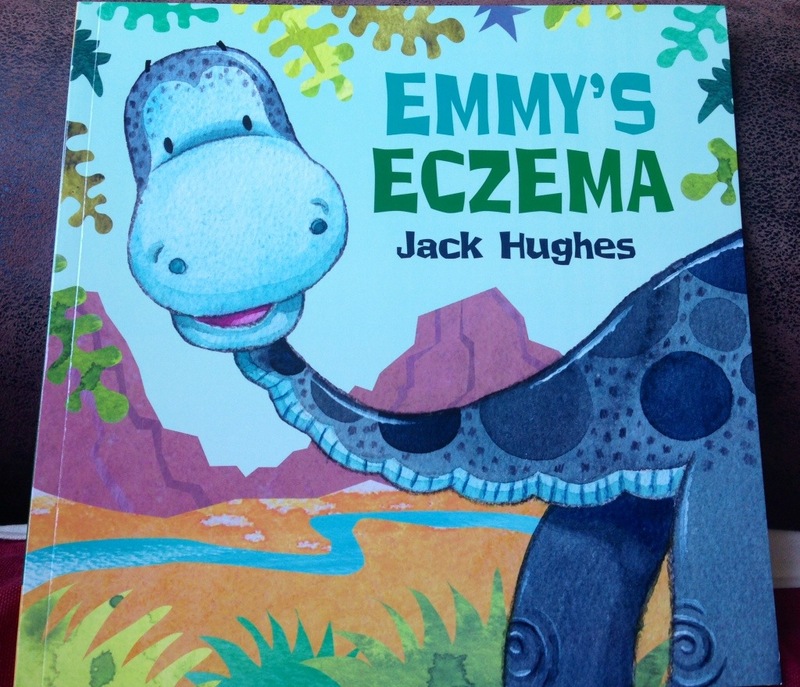 Emmy’s Eczema by Jack Hughes (Hachette) aims to fill this gap. Emmy has eczema, which makes her skin really itchy. She knows she shouldn’t scratch, but sometimes she just can’t help it. One day, she scratches so much she makes her skin really sore. Can her friends help her? I think this book will help my friend’s son feel less alone and will also help his older sister. 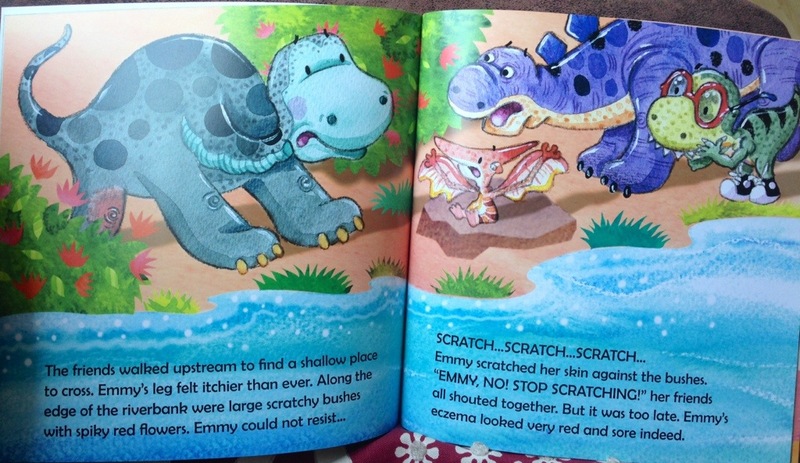 The dinosaurs have to work together to support Emmy and remind her not to scratch. They journey together to help her find the flowers to make a cream that relieves the itching. The sense of teamwork and support in this story is one that I’m sure will resonate with my friend and her family. I can imagine them all cuddling up to read it together and discussing how it relates to their own lives. 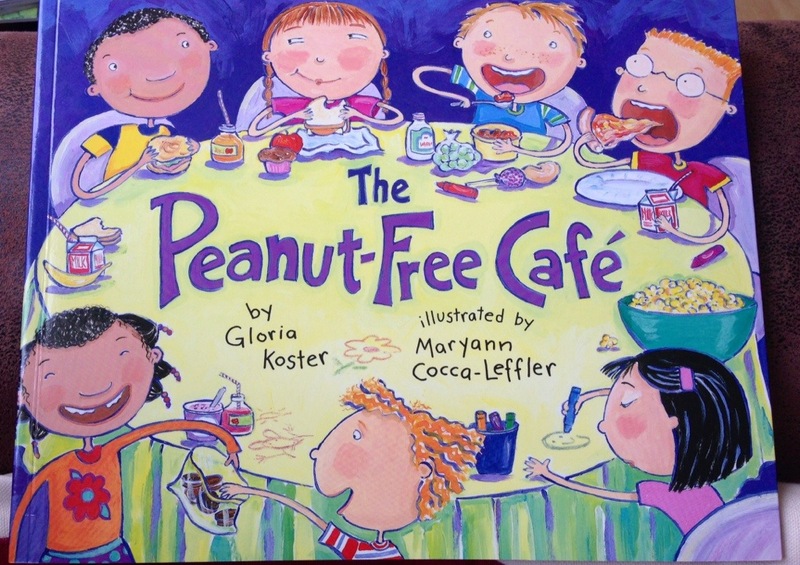 For older children, The Peanut-Free Cafe by Gloria Koster and Maryann Cocca-Leffler is a fantastic book that celebrates difference and shows children adapting their daily routines to support a new classmate with a peanut allergy. Simon loves peanut butter. But Grant, the new kid at school, is allergic to it – he can’t even sit near anyone eating it. Grant sits all by himself at lunchtime until Simon comes up with a great idea: turn part of the cafeteria into “The Peanut-Free Cafe” and make it a fun place! Soon the other kids are leaving their peanut-butter sandwiches at home so they can eat in the cafe with Grant. But it’s not so easy for Simon. Can he give up his very favourite food? Telling this story from the point of view of a classmate makes it a book that encourages awareness and support for children with peanut (and all) allergies. It also shows Simon – a very fussy eater – being brave and trying new foods so he can join the Peanut-Free Cafe and support his new friend. A great book for friends and families of children with allergies, this is a book that will work equally well in the classroom. 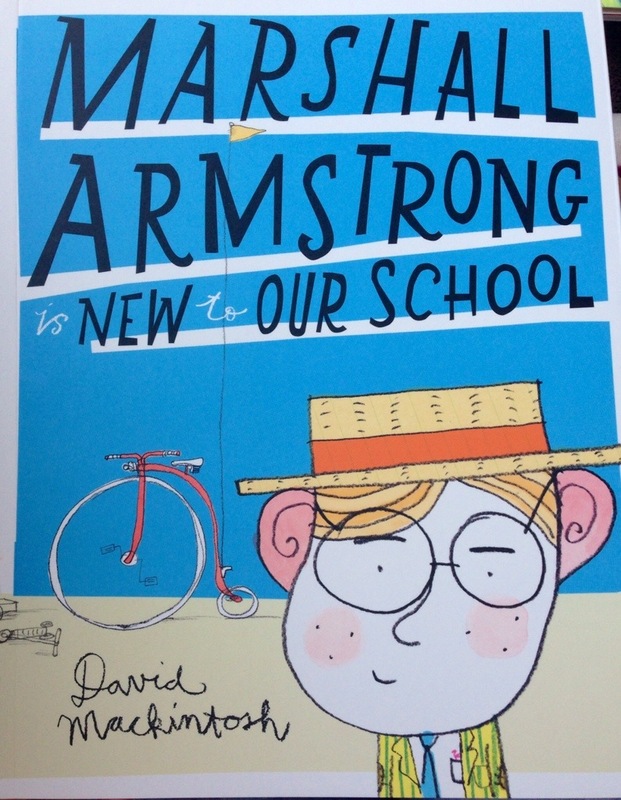 Marshall Armstrong is New to Our School by David Mackintosh (HarperCollins) is another picture book that celebrates difference. Marshall Armstrong is new to the school. He looks different, he acts differently and he eats different food. But it doesn’t take long for Marshall to prove that you don’t have to follow the crowd to be the most popular kid in the playground. When he invites the children from his class to his house for a party, they learn that Marshall Armstrong is fun and friendly and they have a great time trying new things. A quirky and humorous book that celebrates the differences that make us unique, Marshall Armstrong will bring a smile to anyone who feels a bit different. Thank you to everyone who made suggestions and pointed me in the right direction. If anyone has any more recommendations, please do add them in the comments below – we’d love to hear your ideas! So pleased you found some books. I love the look of Emmy’s eczema.